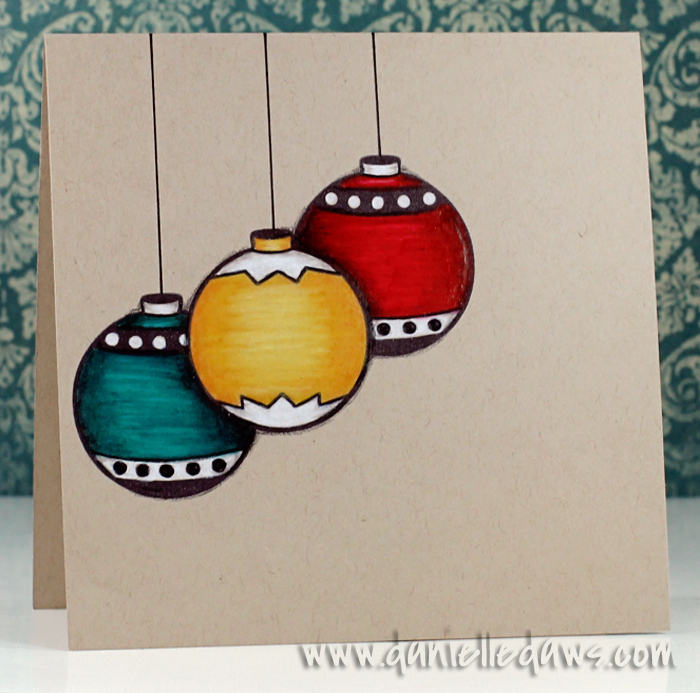 Time for a sketch with the AnnaBelle Stamps Challenge ABSC052. It's a fabulously simple sketch and I couldn't resist keeping it simple with a one layer card. 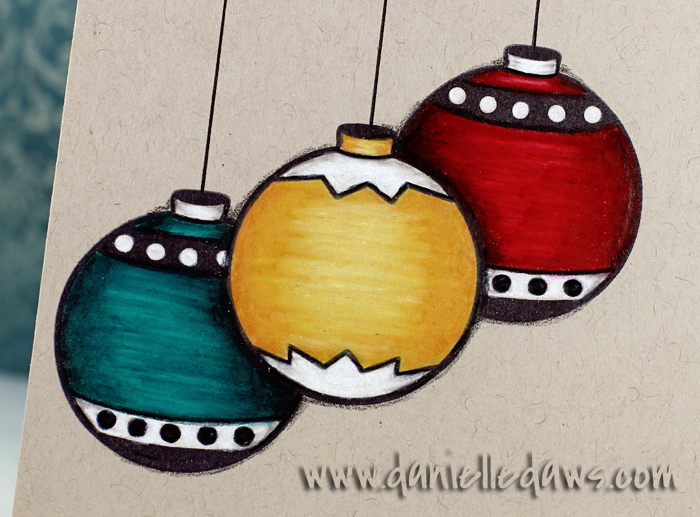 The set I've used today is Christmas Scene Baubles, and it's the set that's up for grabs this week! I stamped the centre bauble and masked it off to stamp the baubles either side, giving the appearance of the centre bauble being in front of the other two. It's a simple trick, but can have wonderful results. Also entering Simon Says Anything Goes. Love the depth of colour that you achieved with the colour on kraft! Another fab card Danielle! Beautiful Danielle...I almost coloured in my baubles, but changed my mind at the last minute! I love your colours. Another Awesome card, Danielle! LOVE the colours! This is awesome! Your masking is pure perfection! Gorgeous card! Love this!! Fabulous job! Gorgeous!!!!!!!!!! wow, love your coloring, it's just amazing!